Staten Island's north shore is part of New York City and the Northeast region. MVI 0713 from Liz Barry on Vimeo. In question is what kind of accountability each agency has to the public, and what avenues each agency has in place for receiving community-created data and entering it into the decision making process. Raising the historic Bayonne Bridge so that container ships can reach the Port of New York. 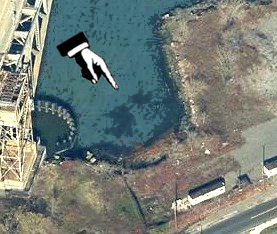 US Coast Guard and Port Authority issued a 7,000 page Environmental Impact Statement. 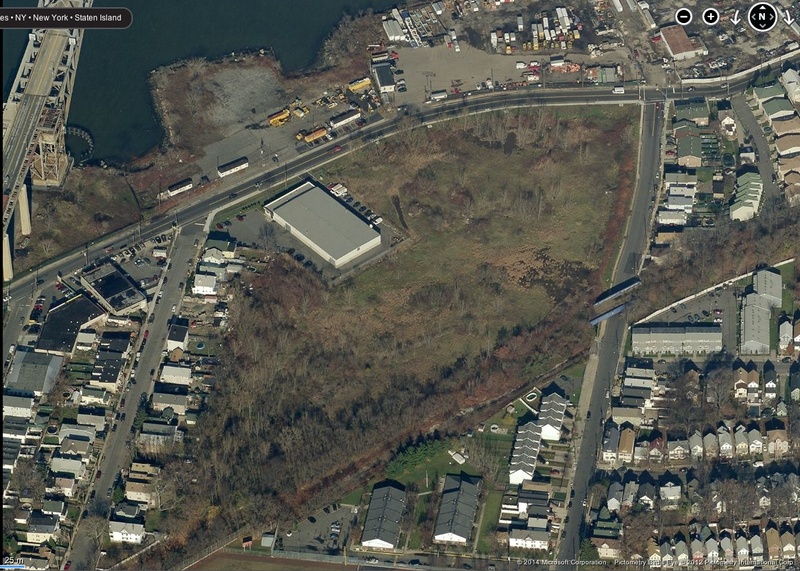 This site is being watched as its going through the NYState DEC permitting process to be built on the North Shore with the purpose of storing cleaned, dredged materials from all over NYC, which they are then going to combine with cement and store. The would involve 90 cement trucks per day coming in, and 90 trucks per day going out. The dredge spoils will be coming in by barge. NSWC has submitted comments in opposition to this. DEC has not yet responded. 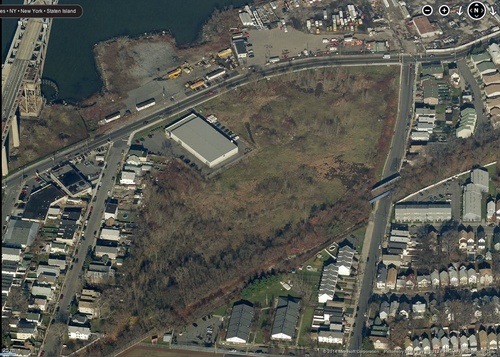 The question is why would this be located on the North Shore where a residential community is, versus on the west shore where the Freshkills landfill provides a 2,000 acre buffer? Environmental "problem areas" includes ongoing remediation activities. "Problem Lots" were compiled by merging NYSDEC ( Dept of Environmental Conservation, NYCMOER (Mayors Office of Environmental Remediation) and USEPA (Environmental Protection Agency) listed environmental contamination or remediation site points with MapPluto NYCDCP (City Planning) lot lines. "Problem" data points include things like heating oil tanks and bridge repairs over sensitive wetland areas). The fact that a lot is colored orange does not mean that it is actually polluted (some of course definitely will be) or that pollution mapping is comprehensive. More detailed mapping would review source data and research each area to make appropriate data corrections. Map is purely meant to give rough idea of potential priority study areas. Mayor's Office for Environmental Remediation has another database of "problem" lots, tagged as "E" designation which requires action before being redeveloped. Citizen Grassroots Mappers could use digital cameras tied to kites or balloons to gain a better understanding of potential unmapped outflow pipes or buried streams. Comparing them with the historical data will inform a better understanding of the site. Below: 1894 Natural Science Association Map of Staten Island which shows now buried natural features. June 28, 2014 With Scape, Rebuild by Design, NYC Parks Department. "We specially designed these breakwaters to integrate ecosystems underwater, and above water. We've created small reef streets for underwater fish and sites for oyster restoration as well," Scape/Landscape Associate Gena Wirth said. "So this can really become an ecological hotspot in the Raritan Bay." Eymund Diegel, chair of Public Laboratory, was in attendance to teach children (and parents) about how he uses a giant helium balloon and some makeshift, recycled tools to take aerial photographs of Raritan Bay and document shore erosion for Scape/Landscape's project. 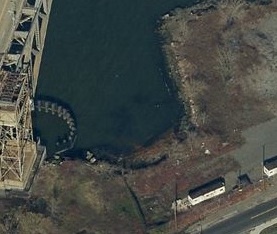 "Through these photos we can identify new water outflows, where people are walking and other relevant planning data that will help us design the best project for Staten Island," Diegel said. "And this balloon fascinates the kids here. It's a fun event. A girl came up to us crying because she needed touch the balloon. And this is why we do this: so we can engage people. They can give us their specialty knowledge about the area."